As Lunar New Year approaches, the team at Human Resources decided to scour the Internet and find out what the Year of the Dog (from 16 February 2018 to 4 February 2019) holds for our careers and finances – according to the Chinese Zodiac Sign. Calculated according to the Chinese lunar calendar, the signs are based on a 12-year cycle with each year pegged to an animal sign. For example, 2016 was the Year of Monkey; 2017 was the Year of the Rooster. If you don’t already know which animal your birth date represents, click here to find out. As with all forecasts, do take this with a generous helping of salt! For office workers, this is expected to be an overall lucky year, especially for those looking to gain approval of their seniors or a promotion. Imaginative ideas are expected for those in fields such as writing, designing, or other creative work. Quarrels may come up from time to time, which must be resolved by making a concession or compromise. Problems faced will be solved by consulting with others, and seeking advice sincerely from colleagues and leaders. Money should be invested safely with as little expenditure as possible. Professionals born in the year of the Ox are advised to be cautious with competitors as well as their emotions. In order to handle such situations, try to put friendship and loyalty ahead of profit, an focus on friends and colleagues who will support you. Careers which focus on creativity, such as fashion, art, or music will do well. However, do not invest in a loan to diversify into these fields as that comes with a level of risk. Professionals with the Tiger sign are expected to have good luck with their finances in 2018, as well as opportunities for potential partnerships. However, chances for a promotion look slim per the forecast, so the point is to focus on building a strong career base this year. Good opportunities are expected for those in sectors of real estate, thermal power projects, or in the culture industry. Overall, you can expect high level of support from your management team. In the Year of the Dog, professionals attached to the Rabbit sign are expected to benefit from good fortune. Investments are likely to pay off, as well as their careers can develop rapidly if they are willing to work hard. Although some conflicts may pop up during ordinary course of work, they are most likely to be easily resolved through proper communication and proactive avoidance of misunderstanding. Rabbit professionals are typically good problem solvers. If professionals associated with the Dragon zodiac are looking for a promotion, they are likely to come up against some stiff resistance or competition. However, those focusing on their own business will find reserves of energy and courage to work hard and emerge strong. Professionals are advised to be conservative in new business development. Moreover, it will be important to face challenges with a clear mind and resolve, in order to overcome. On a professional level, the new year is expected to be a good opportunity for professionals with the Snake sign to put their business in order, as well as develop new strategies for future projects. Alongside, employees can expect to receive a promotion or an increase in their salary. At the same time, it will be good to adopt a healthy lifestyle, in addition to work-life balance, in order to remain agile. It is also good to watch closely over your affairs to stave off naysayers. Bearers of the Horse zodiac are expected to find stability in their careers of choice. Finances are anticipated to be moderately good, but it’s wise to not spend unnecessarily and save for a rainy day instead. Stay cautious of office politics and colleagues who may not wish the best for you. Humility is a trait that is expected to serve Horse professionals well this year. Windfall gains on the money front are expected at some point this year. According to the Goat/Sheep fortune prediction in 2018, obstacles are likely to be encountered in both the fields of career and wealth. As such, they are advised to keep tabs on their affairs and expenses in detail, so as to stay on track. Professionals are expected to make a difference to their career by working hard and maintaining good relationships with their colleagues. Given the tendency for people born under this sign to be sensitive to art and beauty, they will continue to do well in terms of creativity. In 2018, professionals born in the year of the Monkey must be wary of investments that offer fast and significant income prospects, or a separation from the current work assignment. Being analytical and introspective by nature, this will pay off as such individuals will be able to stabilise themselves in a relatively volatile environment. It is expected to a good year for finances, as significant cash inflows are expected during the second half of the year. In this year, professionals born in the year of the Rooster can look forward to a steady rise in their career. However, it would be best to do so whilst maintaining strong relationships with your leaders and colleagues, as well as leveraging the power of the team to improve work quality and thus receive recognition. While you may think about switching jobs, this isn’t expected to be the best time for that, you may see further development, promotion or salary raise in your current assignment. 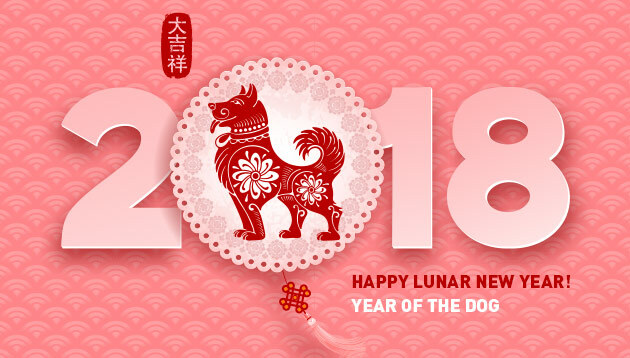 It is predicted that professionals with their own business will do well in the year of the Dog, attaining the peak of their capacity in their respective fields of work, as well as asserting their position in society. However, it is also expected to a be a time to remain cautious especially when looking to engage in projects beyond their field of expertise. It is recommended to keep close track of professional exchanges, especially emails, to keep cautious for the future. Expect to get a little wealthier this year, if you are born under the zodiac of the Pig. Working professionals will likely benefit if they demonstrate their strengths as well as build strong networking with their peers, akin to those leading their own businesses. The key lies in building secure personal relationships with your key stakeholders, apart from working work. Self-control will come handy in cases of conflicts or disagreements at work and outside.